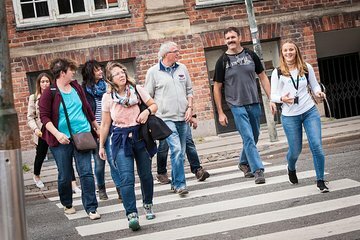 For visitors with limited time in the city, discover Copenhagen on a concise walking tour of its main attractions, including Rådhusplatsen, Slotsholmen, and Nyhavn districts. Discover City Hall, a candy factory, and Christiansborg Palace by foot for intimate insight into the city’s culture, and learn about its history from your guide. Højbro Plads, next to the statue of Bishop Absalon on horseback - located in the city center. Tour ends at Kongens Nytorv.